We have the professional equipment and highly trained technicians to dry, dehumidify, and restore any part of your property. 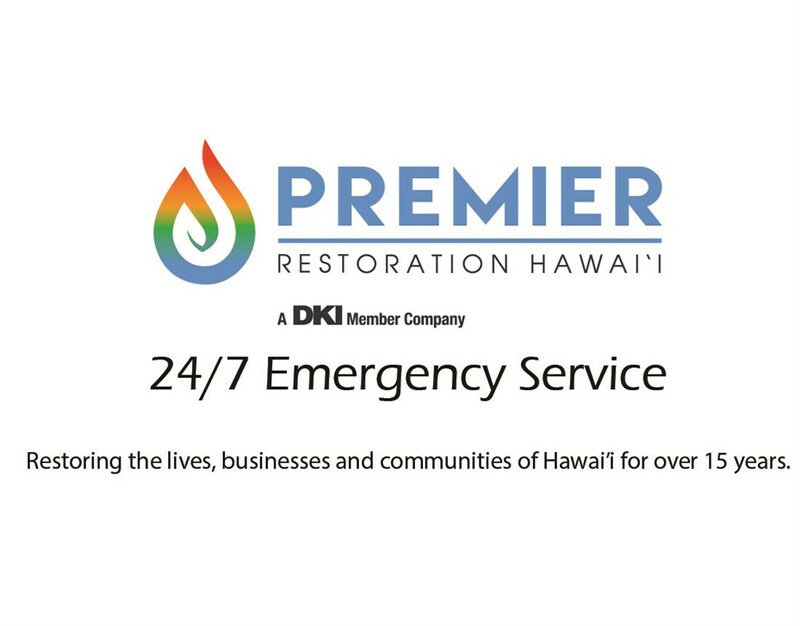 As a member of the Disaster Kleenup International (DKI) network, Premier Restoration Hawaii offers some of the best flood damage repair services on the island. We utilize cutting-edge technology such as infrared cameras and industrial dehumidifiers to reverse flood damage in homes and businesses across Aiea. We even have a team of flood cleanup experts on call 24/7, ensuring that your most pressing flood damage concerns are addressed as quickly as possible! We operate under two-hour emergency response times to better serve you. Although flooding is more or less expected during the wet season, Mother Nature can strike at any time—and we’re prepared to respond just as quickly, any time of year. We understand that flood damage repair is usually an unexpected expense, and we’ll work with you to provide the cleanup and restoration services you need for an affordable price. Whether you have a relatively simple dry-out or require full ground-level reconstruction, we’ll always provide an upfront quote for your Aiea flood damage restoration. Don’t try to mop up or dry out your home on your own! Get the job done right by calling Premier Restoration Hawaii today. Call us to request more information about our water damage service in Aiea, or sign up for a free property inspection and quote by completing our online form at your convenience.